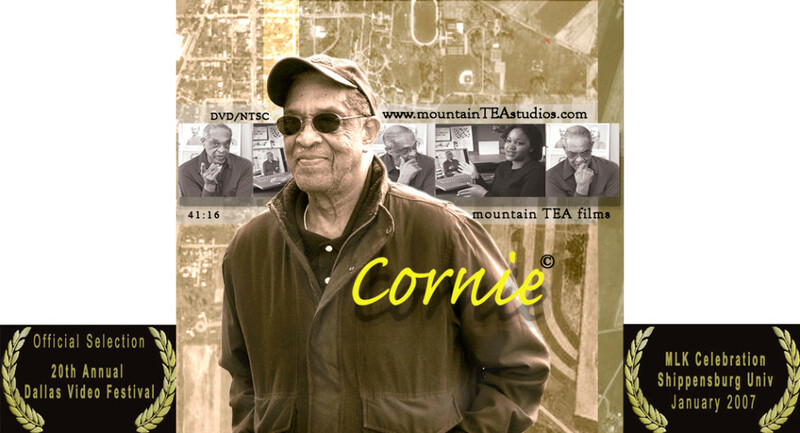 Cornie – The nearly century-long reminiscences of Robert L. Watson, affectionately known as ‘Cornie,’ paint a vivid picture of the life of an African-American in the 20th century and beyond. Born at the dawn of the first World War, he was a veteran of the second, where despite his service to his country he was nevertheless disparaged as a second-class citizen. Sadly, this was nothing new: in his youth in historic Mercersburg, PA, he endured segregation and institutional prejudice that severely limited his options. Yet in the face of these imbalances he discovered that not every privileged white wished to shut him out, and he gained a quiet dignity that gave even unabashed racists pause. Private school student Lyndsey Dawkins, born and raised safely beyond the implementation of civil rights, emotionally relives Cornie’s story that she heard him tell, and now associates a face to the benefits she enjoys, but he never had. A torch is passed, and like Lyndsey, you too will remember and thank Cornie. Cornie Preview from Kristy Higby on Vimeo. Mercersburg, Pa.—With a standing ovation in front of him in the Burgin Center for the Arts’ Simon Theatre, local resident and subject of faculty member Kristy Higby’s documentary Cornie, 92-year-old Robert L. (Cornie) Watson received an honorary Mercersburg Academy diploma from Head of School, Douglas Hale. The diploma was given to Watson immediately following the screening of the film that bears his name, which documents Watson’s stories of growing up in Mercersburg. The 42-minute film was shown on Friday, May 25, to the Academy community, those who took part in the film, and members of Watson’s family. After the screening, Watson posed for pictures, proudly holding his diploma as visibly moved audience members looked on. 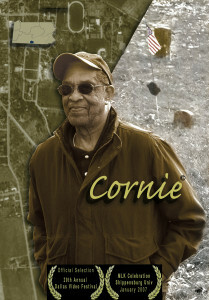 Cornie chronicles one man’s journey through the 20th century and beyond, bringing lessons from the past to the present. Watson’s is a story about struggling through adversity, witnessing inhumanity, yet emerging with dignity, grace, and good humor. The nearly century-long reminiscences of Robert L. Watson, affectionately known as ‘Cornie,’ paint a vivid picture of the life of an African-American in the 20th century. Born at the dawn of the first World War, he was a veteran of the second, where despite his service to his country, he was disparaged as a second-class citizen. Sadly, this was nothing new: during his youth in Mercersburg, Pennsylvania, he endured segregation and prejudice that severely limited his options. In the face of such imbalance, Watson discovered that not everyone wished to shut him out and he gained a quiet dignity that gave even unabashed racists pause. The documentary will be shown at the historic Star Theater on Seminary Street in downtown Mercersburg, Pennsylvania on Sunday, June 3, at 2:00 p.m. No admission fee will be charged for this event. Copies of the DVD will be available for sale for $20. Donations will be taken at the door. All donations and DVD sales will go to the Zion Union Cemetery (www.zion-union.org) where thirty-eight Civil War veterans are buried including thirteen members of the 54th Massachusetts Volunteer Infantry immortalized in the 1989 movie Glory. This is one of the largest known burial sites of the 54th regiment in a private cemetery and is still in use by Mercersburg’s African American residents. Mercersburg Academy is a co-educational, independent college preparatory boarding and day school in south-central Pennsylvania, with students in grades nine through twelve and a postgraduate year. It has prepared students for college and life beyond since 1893. This year there are 430 students enrolled from 30 states and 26 nations. For more information about the school, contact the Office of Admission and Financial Aid at (717) 328-6173, email admission@mercersburg.edu, or view the school’s website at www.mercersburg.edu.